I normally set things up to post in the morning, but just couldn't quite get to the cartoon yesterday like I'd planned to. 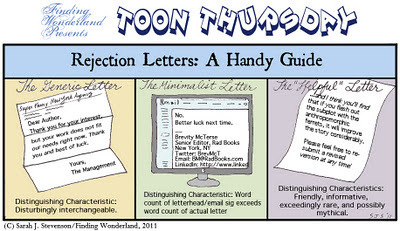 Still, it's done, and in many parts of the world it's still Thursday, so here you go--in honor of a couple of recent rejections, another toon on the Subject That Never Gets Old! You'll have to click this one to view it larger and read the good stuff. 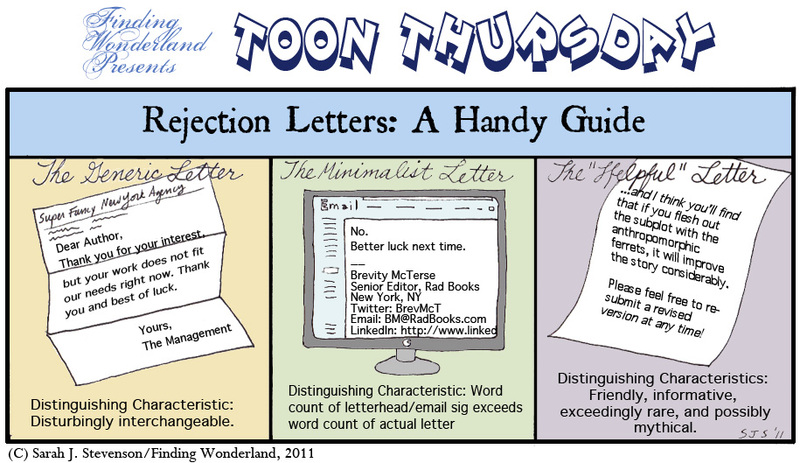 For more writing-related cartoon goodness, check out the Toon Thursday Archives. Adam got one of the third, I saw it with me own eyes! Hee hee hee, it's funny because it's true. And you can't go wrong with ferrets.